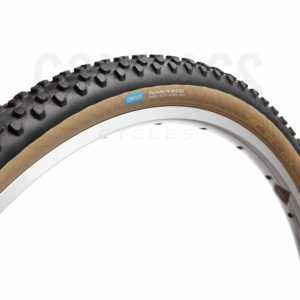 A modern, beautifully-made, tubeless-compatible rim that’s a perfect match for Compass tires. Use these rims with or without tubes. With the Belgium’s properly-designed well, the bead of your tire is guided into place as you bring it up to pressure. Available in 28 and 32 hole drillings. With a tall, aerodynamic profile, these 650B rims make strong wheels. They have a tall brake track for rim brakes.